DIY: Home made avocado soap - AvoSeedo - Grow your own Avocado Tree! The avocado as a fruit has numerous benefits to the human skin, whether you eat it or just apply it on to the skin. 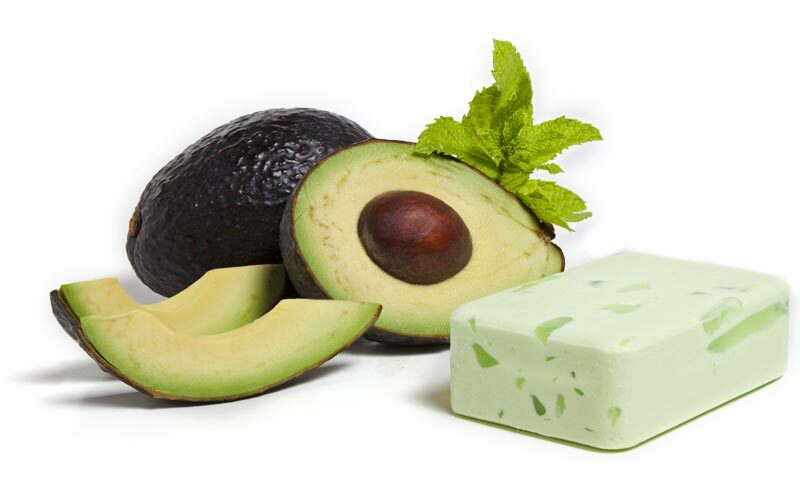 When it comes to the avocado soap, it contains the same benefits as the fruit, such as vitamins A, D and E, healthy fats like the omega 3 and phytonutrients. It is also rich in minerals specifically potassium, which assists it in penetrating the skin deeper, equally and much deeper than other factory made soaps, making the skin smooth and moisturized. Lye-Water which is made from 15 ounces distilled water and 8.2 ounces of sodium hydroxide (lye). The root ingredients include coconut oil, palm oil, avocado oil, palm kernel flakes, olive oil and avocado slurry. In order to add color, you will need tablespoons of a liquid oil of choice, teaspoons of yellow oxide and 1/2 teaspoons of green chrome oxide and little wasabi fragrance oil for the fragrance. For the equipment, you will need a heat resistant bowl for measuring water and lye, newspaper or cardboard measuring pitcher for oils, mixing utensils, measuring spoons and cups, large spoon, rubber gloves and safety glasses, chopsticks, soap molds, whisks, stick blender, 91% isopropyl rubbing alcohol in a spray bottle, mini mixer, thermometer, a sharp knife and a wood log. We first have to prepare the avocado slurry by adding 3 ounces of ripe avocado to 3.8 ounces of distilled water and stick-blend until it is well blended. Prepare the colorant. Before you begin the soap-making process, use the mini-mixer to mix the colorants. 1 teaspoon of Green Chrome Oxide in 1 tablespoon of oil, 1 teaspoon of the Yellow Oxide in 1 tablespoon of oil, 1/2 teaspoon of the Green Chrome Oxide together with 1 teaspoon of the Yellow Oxide in 1 tablespoon of oil. Smear powder to the surface of the oil with the tip of a blade to saturate it before beginning or you’ll stir up a messy cloud of pigment. Mix the colorants thoroughly for the most even color results. Now to make the soap mixture, add the lye to the water (not the other way around), stir gently, and set aside until clear. Melt palm oil in its original container mixing it thoroughly, and measure into a large bowl large enough to hold all the lye-water and oils with leaving room for mixing. Melt and measure the coconut oil and add it to the bowl. Add the palm kernel flakes after melting. Add olive and avocado oils. When the oils and the lye-water are both below 120°F, add the lye-water to the oils, pouring it over a spatula or the shaft of the stick blender to minimize air bubbles. Tap the stick blender a couple of times against the bottom of the bowl to release air that may be trapped in the blades. Do not turn on the stick blender until it is fully immersed. Stick-blend and add the avocado slurry and stick-blend until a light trace is reached, this would generally take about 2 minutes. Split the batch into three parts: two parts at 4 cups each, one part at 2 cups. Color each of the batches in the following order, 1 1/2 teaspoons of the Green Chrome Oxide mixture to one of the 4-cup batches 1/2 teaspoon of the Green Chrome Oxide plus Yellow Oxide mixture and 1/2 teaspoon of the Yellow Oxide mixture to the other 4-cup batch. 2 teaspoons Yellow Oxide mixture to the 2-cup batch, whisk each of the colorants into the soap until incorporated. Add 1.5 ounces of the Wasabi fragrance oil to each of the 4-cup batches, and a touch of wasabi fragrance oil to the 2-cup batch. Right before pouring each batch, stick-blend it until a thick paste is achieved. Pour the 4-cup batch colored with just the green chrome oxide into the mold. Tamp the mold on the work surface to spread the soap and eliminate any air bubbles. Pouring over a spatula to prevent breakthrough, pour the 4-cup Green Chrome Oxide plus Yellow Oxide batch into the mold. Tamp the mold on the work surface to spread the soap and remove any air bubbles. Pouring over a clean spoon, pour the 2-cup Yellow Oxide batch into the mold. Use the spoon to mound the soap into a peak that goes down the center of the mold lengthwise. Insert chopsticks into the top 1/2 inch or so of soap. Drag the chopsticks through the heavily traced soap in a pattern to create visual interest. The design is meant to be purely textural, so don’t swirl so deep as to hit the other colors. Last but not least, spray the entire exposed surface with 91% isopropyl rubbing alcohol two or three times over a 90-minute period to help decrease soda ash. Put the mold into the freezer for at least 12 hours. This will help the soap maintain its color. If the soap gets too hot, the fresh avocado may turn brown in the soap. Unmold within 4 days. Finally, cut the soap into bars and allow curing in a well-ventilated area for 4 to 6 weeks, turning the bars over every few days to ensure it cures evenly. Avocados contain incredible amounts of essential nutrients, including anti-oxidants, minerals and vitamins. Aside from eating and applying it to the skin, it can be used as a health and beauty product for the hair. This therefore means the home made avocado soap has many benefits like; treating skin conditions by moisturizing the skin to reduce any inflammations, the benefits of the home made avocado soap in treating various skin conditions are many. This is one of the main reasons why it is widely used in many commercial creams and balms. It is extremely good for treating a dehydrated dry and aging skin. The soap has wonderful moisturizing properties. Washing your face and body regularly with the home made avocado soap will make your skin cleaner and smoother than ever before in a natural way compared with manufactured soaps which contain too much artificial ingredients. The homemade avocado soap has one great advantage which makes it completely safe to use. This is because by the fact you know all the ingredients of the soap, you are able to control the specific ingredients to your preferred or desired quantity and quality ensuring it does not contain any chemical compounds that may bring about irritation or sensitivity to your skin. The other advantage is that almost all the requirements are available within your household or can be bought from the nearby store. This means you don’t need a MIT lab do prepare an avocado soap. Do you want to improve the quality and texture of your skin in a natural way, free from any side effects? It is recommended that you think of going for a homemade avocado soap or alternatively make yourself one and you will not be disappointed. Have that avocado lather soothe your face and body and worries about the health of your skin will be a forgotten issue. This entry was posted in All about Avocados, DIY. Bookmark the permalink.